With all the rotating categories, sign-up bonuses and fees, how do you determine which cash back card is going to give you the most return on your spending? We've estimated the rewards value for each card in our cash back category and given top ratings to the ones that offer the highest earnings on average, as well as other important features such as the ease of redeeming your cash back, and the assortment of benefits and perks that come with the card. 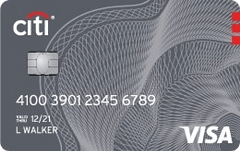 The First National Bank American Express card offers a high rewards rate on all your spending and a fair sign-up bonus, but the standout feature is the card’s ease of use: Your cash back is automatically credited to your statement whenever you earn $25. For cardholders who don’t want to pay the fee for an Amazon Prime membership, the regular Amazon Rewards Visa card offers one of the highest rewards rates on Amazon.com purchases as well as a pretty good rewards rate on gas, restaurant and drugstore purchases. 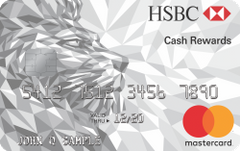 Less well-known than other 1.5 percent cash back cards from bigger banks, the HSBC Cash Rewards Mastercard stands out from its competitors with a solid 10 percent anniversary bonus that can substantially boost cardholders’ earnings. The USAA Preferred Cash Rewards Visa Signature Card offers a high flat rate of 1.5 percent cash back, but, with no sign-up bonus, there isn’t much to distinguish it from the rabble of cards with similar 1.5 percent rewards rates. With stellar rewards on everyday purchases and special perks for active-duty military, the USAA Limitless Cashback Rewards Visa Signature card is more than worthy of consideration — if you meet the requirements. This offer is no longer available. Better suited for well-heeled families than cardholders on a budget, the Blue Cash card offers a generous cash back bonus on everyday purchases; but to get it, you have to clear an exceptionally high spending threshold that may be unrealistic for some families. This offer is no longer available. An outstanding card for PenFed credit union customers, the PenFed Platinum Cash Rewards Visa card pairs an exceptionally low interest rate with generous rewards on everyday purchases. This offer is no longer available. The USAA Cash Rewards American Express card offers military-friendly benefits and an uncommonly low interest rate for cardholders with the best credit scores; however, its complicated tiered rewards program offers relatively little benefit. This offer is no longer available. The USAA Cash Rewards Visa Signature card offers a low APR for cardholders with excellent credit and significant military benefits, but its complicated tiered rewards scheme leaves cardholders with just the bare minimum in cash. This offer is no longer available.